Turn Key Electrical Ltd are a national commercial, industrial and domestic electrical contractor. TK Electrical Ltd are approaching our tenth anniversary. In that time we have established an enviable reputation for the quality, reliability and breadth of our work. With big name clients in every industry, and perhaps smaller name clients in every town, TK Electrical continue to prove of our worth on a daily basis. Turn Key’s success has been built upon consistent investment in our staff, excellent customer service and absolute attention to detail. TK Electrical are NICEIC approved contractors, 17th Edition Certified Electricians and fully accredited Domestic Electrical Installers. TK Electrical are qualified, registered, experienced and skilled in all areas of electrical installation and inspection for commercial, industrial and household electrical work. TK Electrical Ltd has developed something of a specialism in designing and installing electrical systems for the retail sector. Whether we are working on a new-build commercial outlet or refitting a High Street store, TK Electrical create comprehensive and integrated electrical systems that are user-friendly and energy efficient. Every installation is designed specifically for the individual requirements and desires of the client. Recent projects include the full electrical system design and installation of JD Sports Stores in Stratford, Tottenham, Croydon, Harrow, Luton, Solihull and Carlisle. The design and installation of Lab Sports retail outlets across the whole of the UK. 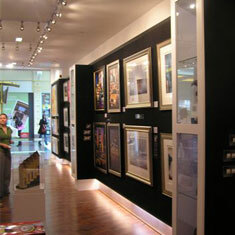 The installation of all electrical work for Castle Galleries studios in the Trafford Centre, Wolverhampton and in their Harrods gallery in London. To give you an idea of the range of our customer base, TK Electrical clients include the Science Museum and the Maritime Museum in London, Philpotts Sandwich Shops in Glasgow and Birmingham, BUPA/Spire Health Care, Aulds Bakery Group in Scotland and Finch Farm Coffee Shop in Kent. 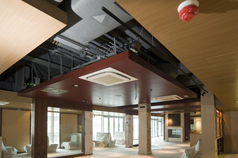 We are experienced in all aspects of electrical work for hotels, including the installation of electrical systems linking air conditioning to key card operations, increasing energy efficiency and saving on costs. TK Electrical is experienced in all aspects of industrial installations. From small manufacturing units to large scale processing plants, TK Electrical design complete electrical systems ensuring adequate power to the operating site as well as heating, lighting and data transfer systems. Recent commissions include the relocation of factory production units to new facilities, removal and reinstallation of production lines and the commissioning and connection of ancillary services. TK Electrical engineers regularly install emergency lighting, smoke detection and sprinkler systems as well as CCTV and security monitoring equipment. We offer servicing and maintenance contracts on all electrical installations and a comprehensive PAT testing (Portable Appliance Testing) service that complies with all H&S requirements. TK Electrical undertake hospital electrical service contracts covering fire safety and emergency on-call systems.